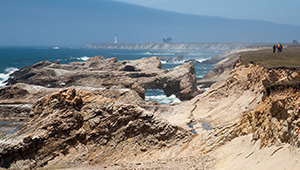 The North Coast is home to iconic California landscapes—redwood forests and stunning coastal bluffs. The land also supports salmon runs, the state's largest timber economy, and provides habitat for the Northern spotted owl. The Trust for Public Land is working in partnership with city and county governments, timber companies, and land trusts to acquire properties and finance conservation easements in this region. Our efforts enhance both coastal and inland access for public recreation and ensure the legacy of working forests, while protecting water quality and threatened natural resources in the forests, streams, and tidal estuaries of California's beloved North Coast.